Pharmacy technicians play a critical role in ensuring medication safety while attending to the many needs of the public. Based on the projected demands for qualified pharmacy technicians, it is a great time to start a fulfilling career. The aging population with their complex medication requirements are a significant reason for the projected trends in pharmacy care. The pharmaceutical industry needs qualified professionals, in Wisconsin, to assist pharmacists with customer care and dispensing medications. Since there’s currently no legislation governing the profession in Wisconsin, one of the best ways to take advantage of the demands in this field is to enroll in an accredited training program and get certified by the recognized authority, such as the PTCB or ExCPT. Through proper training and national certification, you’ll earn a competitive advantage and prepare for the in-demand role of a Pharmacy Technician. The Wisconsin Department of Safety and Professional Services will provide updates to the requirements for pharmacy technicians when they’re available. The lack of legislation for pharmacy technicians in Wisconsin makes it easy for any individual to begin a career as a pharmacy technician. In other states, pharmacy technicians must first register with the Board of Pharmacy or other licensing authority before practicing in licensed pharmacies. Wisconsin has yet to initiate legislation to govern the profession. But the oversight by state authorities calls for increased diligence on the part of pharmacy employers and pharmacists-in-charge as they’re the ones liable if something goes wrong. 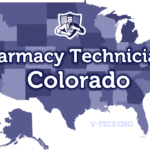 For this reason, the state not only defines the role of a pharmacy technician, but also specifies the task the individual can and cannot perform. As in other states, pharmacy technicians report directly to a licensed pharmacist and assist only with the technical and nonjudgmental functions of the pharmacy. In light of the absence of regulations relating to pharmacy technician registration, training, and certification, pharmacy employers will use their developed guidelines for hiring and training technicians. Most employers recognize the value of nationally certified technicians. These technicians carry the CPhT designation and are competent, knowledgeable and efficient, which frees the pharmacist to focus directly on patient care. According to a PTCB survey, certified technicians are also less likely to have medical errors. Pharmacy employers will favor trained and certified technicians as it cuts the time needed to train new employees. However, all employers must provide some form of formal training to ensure pharmacy technicians can perform the functions assigned. Applicants must be at least 18 years old to begin working at pharmacies in Wisconsin. The minimum education requirement depends on the employer. However, having a high school diploma or equivalent will increase your chances of employment. The pharmacy technician curriculum covers extensive calculations and reading comprehension, so your competency in those areas will help you succeed. Additionally, the PTCB and ExCPT requires applicants to possess a high school diploma as one of the requirements for certification. Applicants for ExCPT certification will need to submit proof of formal pharmacy technician training or at least 12 months of employment in a pharmacy setting. By the year 2020, the PTCB will also require candidates to submit proof of formal training as a requirement for certification. The state does not mandate a criminal background check for pharmacy technicians. However, there are practical reasons a prospective employer would perform a background check on prospective employees. Employers are ultimately accountable for the actions of any employee, so they’ll forego the “gut” feeling and instead rely on criminal background checks to avoid hiring anyone convicted of a felony, especially convictions relating to controlled dangerous substances. A criminal background check will help employers determine if an applicant has a delinquent past. Pharmacy technician training programs prepare students for entry into the field of pharmacy as trained technicians. ASHP-accredited and employer-based programs provide comprehensive training so graduates will have the skills needed to function in community and organized health care pharmacy settings. Moreover, training programs equip students with the knowledge to succeed on national exams provided by the PTCB and ExCPT. Training at colleges, vocational schools, and other traditional institutes comprises of didactic, hands-on lab and an externship opportunity at community and hospital pharmacies. The actual training hours depend on the institute, but programs accredited by the ASHP typically provides at least 600 hours at minimum. 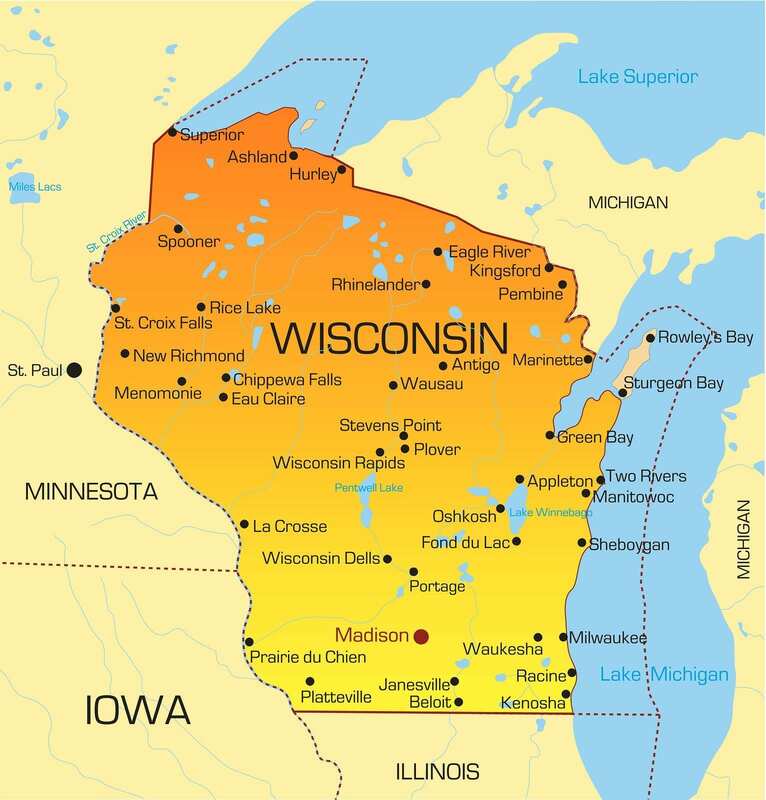 Many accredited institutes in Wisconsin provide more than the required minimum. For instance, the University of Wisconsin pharmacy technician training offers at least 714 contact hours. Each institute and employer will have individual requirements for entry into the programs. However, prospective students should be at least 18 years and in good health. A good moral character and no criminal convictions are other common requirements for entry. If you don’t have the money to pay tuition, training at your future employer may be your next best option. There are hundreds of pharmacies across Wisconsin that sponsor training, including the cost of course materials, textbooks, and uniform. While employer-based training offers the benefit of free tuition, with the exception of a few larger chains, the programs are not accredited. The lack of accreditation makes it difficult to transfer from one pharmacy to another or from Wisconsin to other states. If you plan to pursue further education, college and universities will not give you credit for the training. Therefore, it’s important that you take your short and long term goals into consideration when choosing a training option. For paid training, expect to pay an average of $3,225 inclusive of tuition, textbooks, lab coat rental, first aid/CPR, disposable scrubs and equipment fees. Students are responsible for criminal background check, immunization, and transport to and from the clinical externship. Graduates have the option to apply to for national certification, which adds an extra $129 to the final costs. The average training program covers 650 hours of training, which is equivalent to 6 to 8 months. The decision to certify is completely up to the candidate. However, certification gives pharmacy technicians national recognition and make them more appealing to prospective employers. There are two national certifying authorities for pharmacy technicians; the PTCB and the ExCPT. The PTCB’s certification program enables pharmacy technicians to work effectively with pharmacists, offering quality patient care and service. Candidates who pass the PTCE and meet all the eligibility requirements become Certified Pharmacy Technicians (CPhT). Apart from meeting the initial requirements and passing the multiple-choice exam, technicians must obtain 20 hours of continuing pharmacy education and one hour of medication safety within the two-year period in order to maintain certification. To take the exam, you must submit your application to the PTCB online and pay the $129 fee using a credit card. Once the PTCB verifies your age, education, and criminal history background, you can schedule your exam at any one of the 200+ Pearson Vue testing centers nationwide. 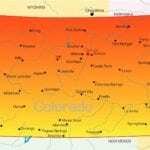 The ExCPT, developed by the ICPT, is growing in popularity in many states. Applicants must be at least 18 years, possess a high school diploma and complete a formal training program (or have 12 months of pharmacy employment) in order to qualify for certification. The ICPT has contracted with PSI/LaserGrade to administer with 120-question multiple-choice exam. The exam is available 310 days a year, and the cost for certification is $105.